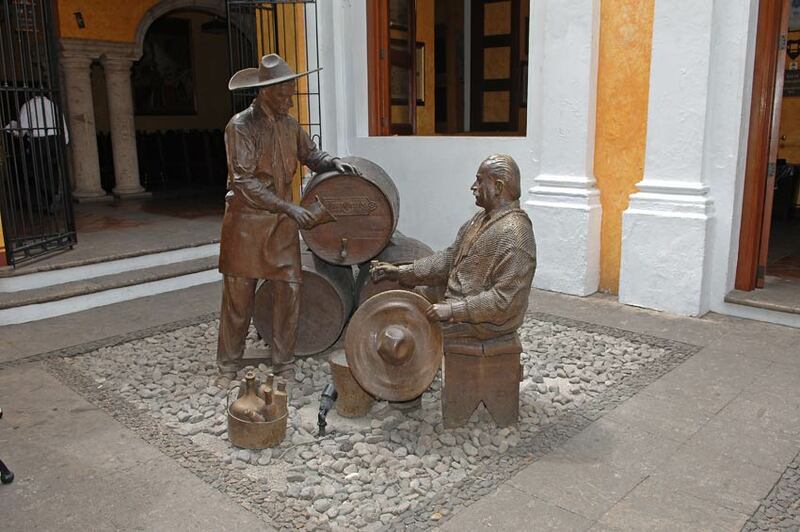 Photos, Pictures and photographs from Mundo Cuervo, Tequila, Jalisco. 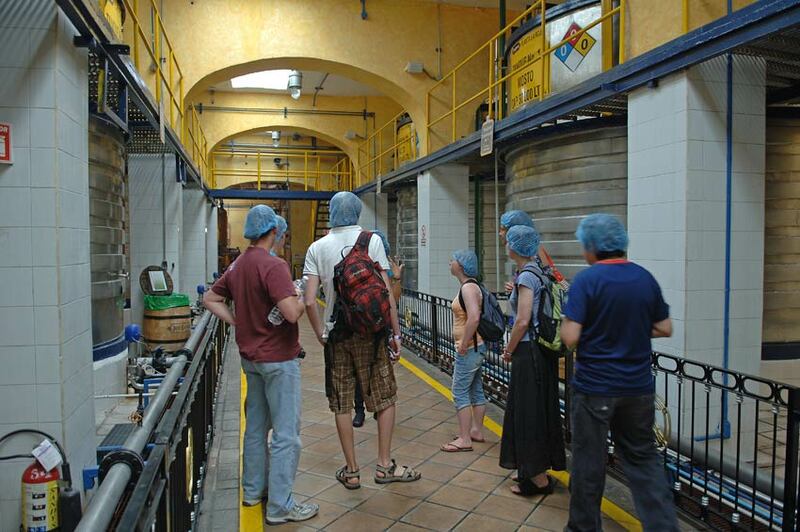 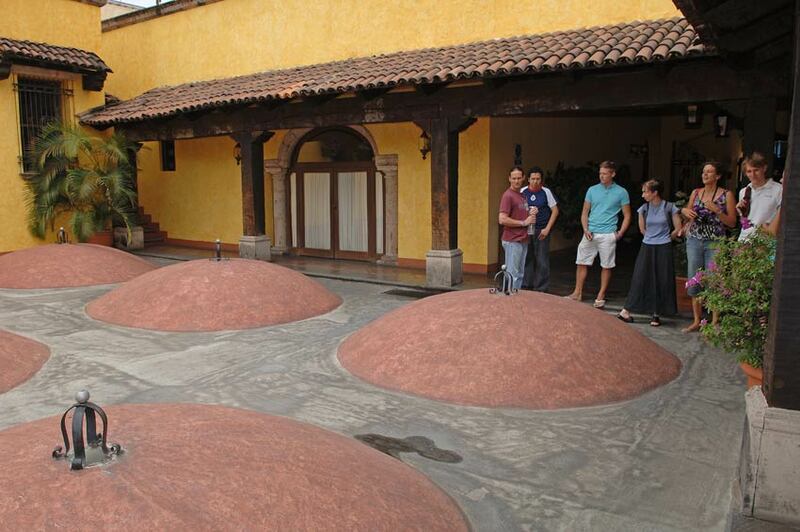 Group taking a guided tour of La Destileria La Rojeña at Mundo Cuervo, Tequila. 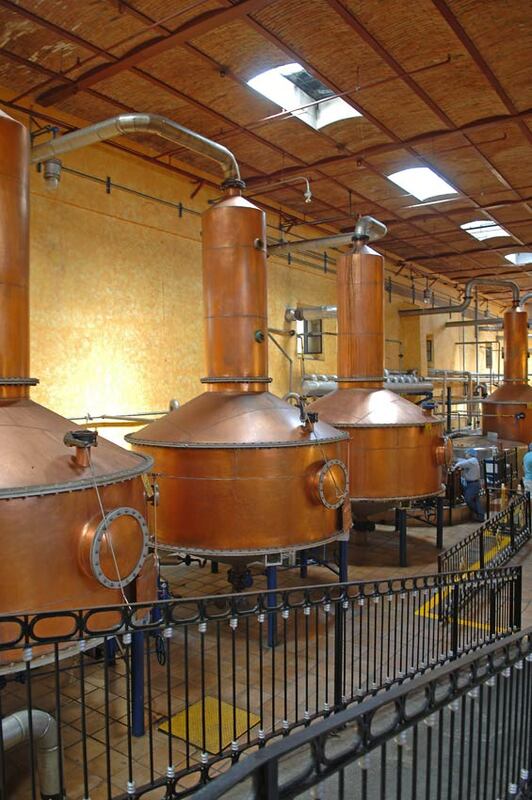 Copper alambiques (stills) in the distillation area at Mundo Cuervo, Tequila, Jalisco. 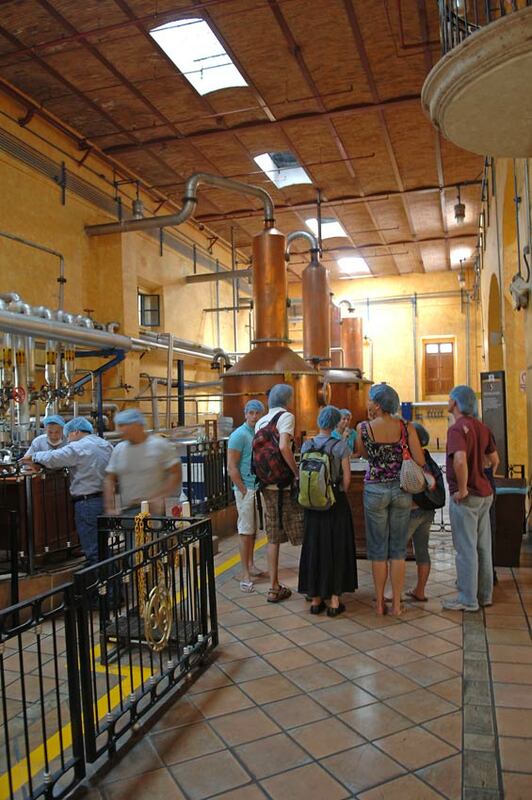 Group taking a guide tour of La Destileria La Rojeña at Mundo Cuervo, Tequila, Jalisco. 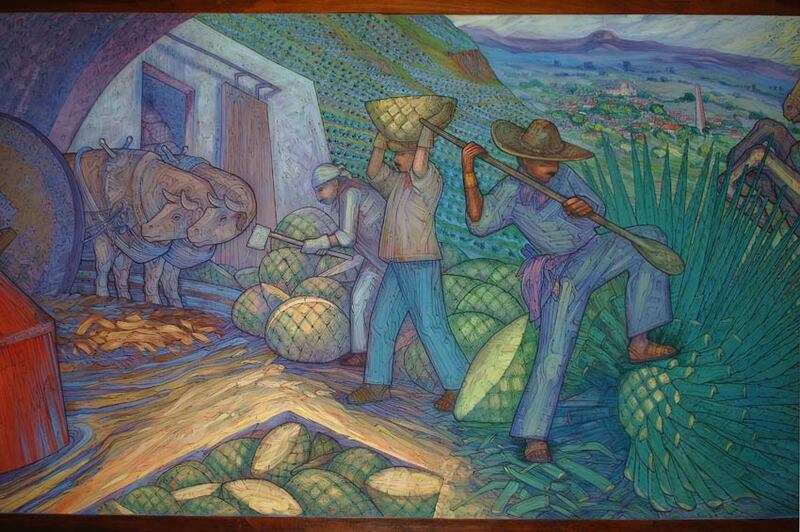 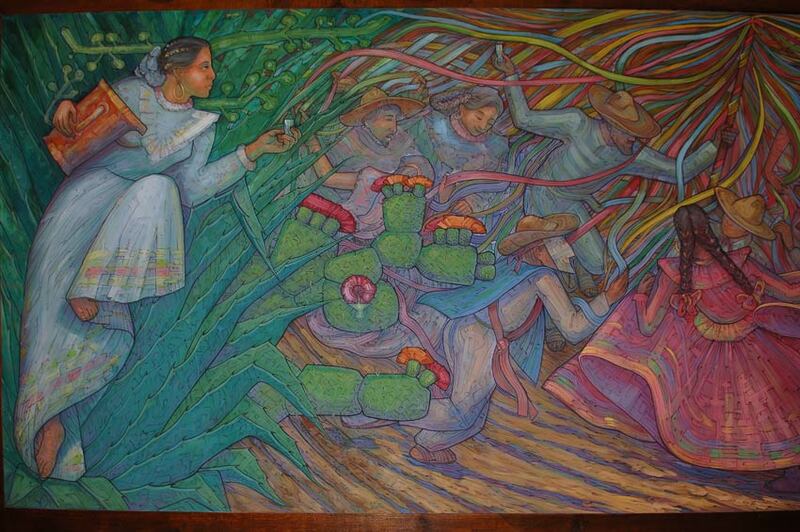 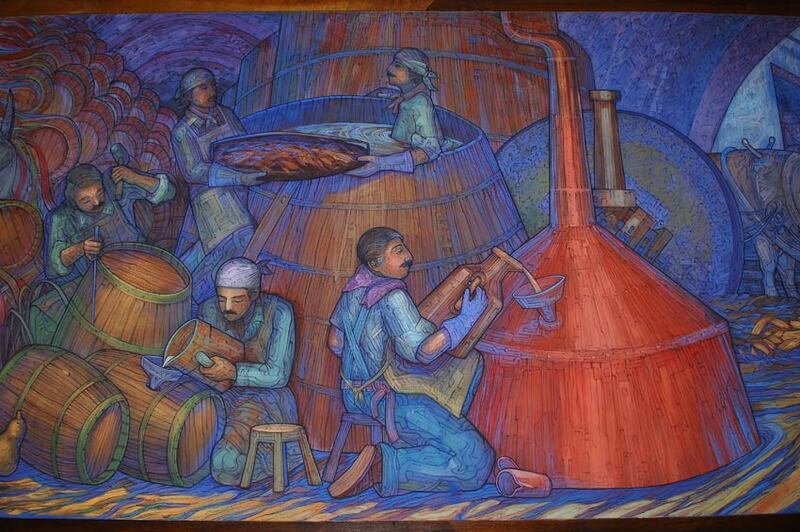 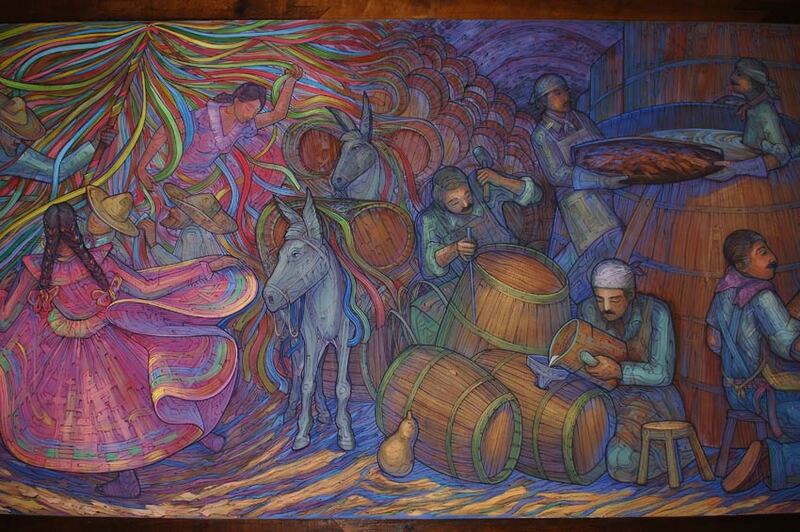 Part of a long mural, showing the history of the tequila process, at Mundo Cuervo, Tequila. 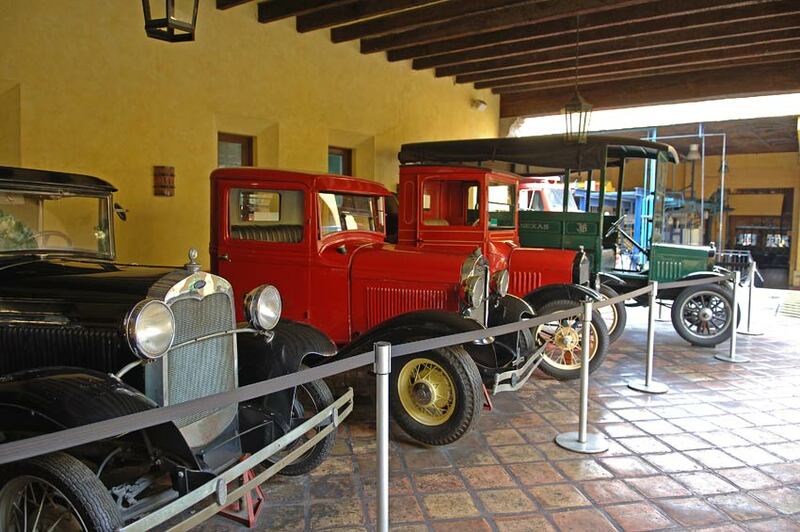 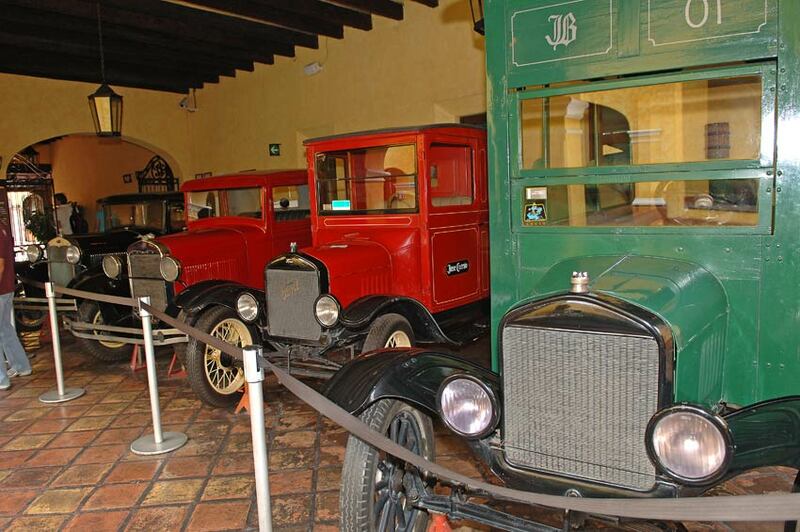 Antique trucks used for deliveries are on display at Mundo Cuervo, Tequila. 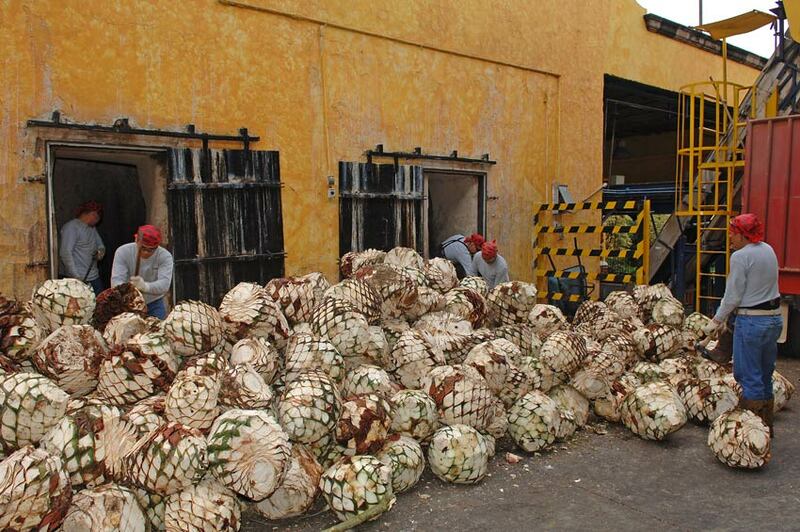 Raw agave hearts (piñas) being split in half and loaded into adobe ovens at Mundo Cuervo, Tequila, Jalisco. 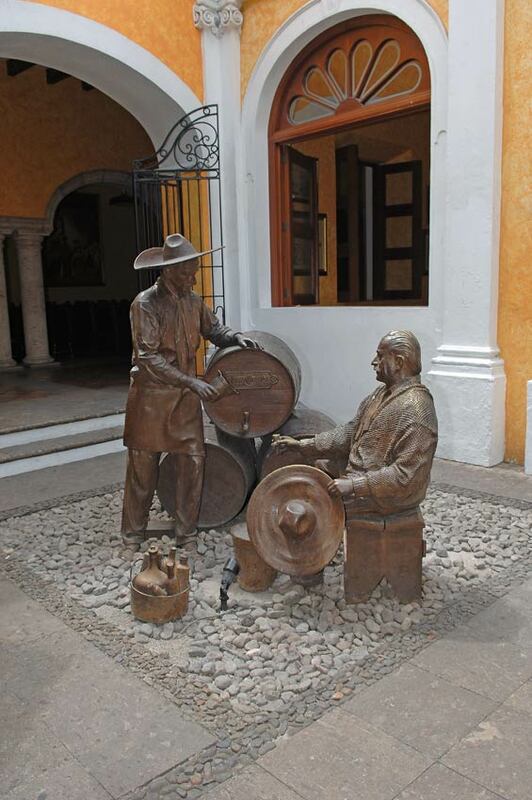 Courtyard and patio area at Mundo Cuervo, Tequila, Jalisco. 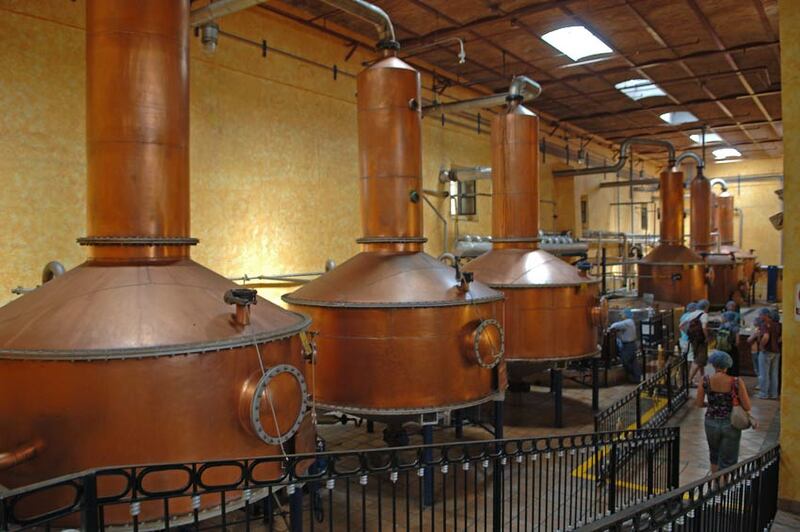 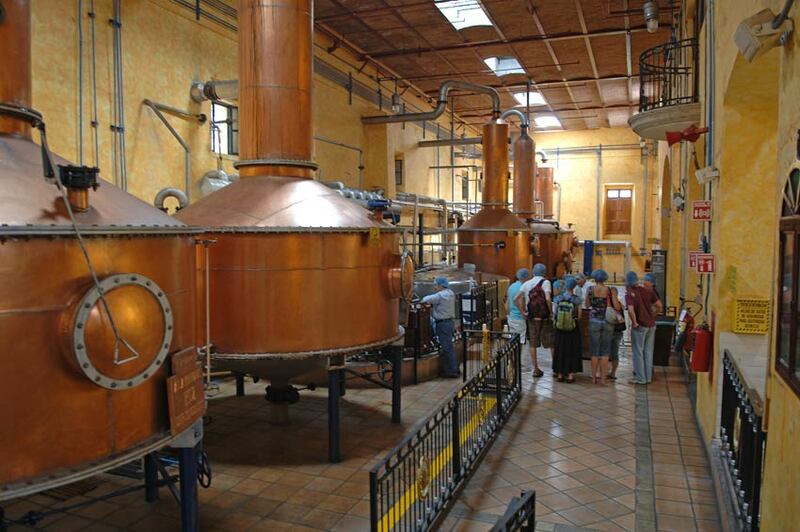 Copper stills (alambiques) in the distillation area at Mundo Cuervo, Tequila, Jalisco. 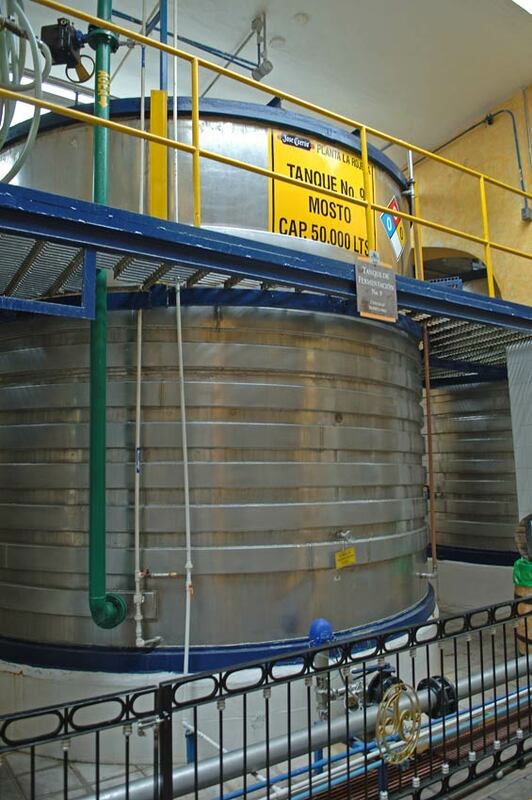 Tank (tanque) with must (mosto) in the distillery at Mundo Cuervo, Tequila, Jalisco.